Five Finger Death Punch's The Wrong Side of Heaven and the Righteous Side of Hell, Volume 1 was certified gold. Below the message from Jeremy. 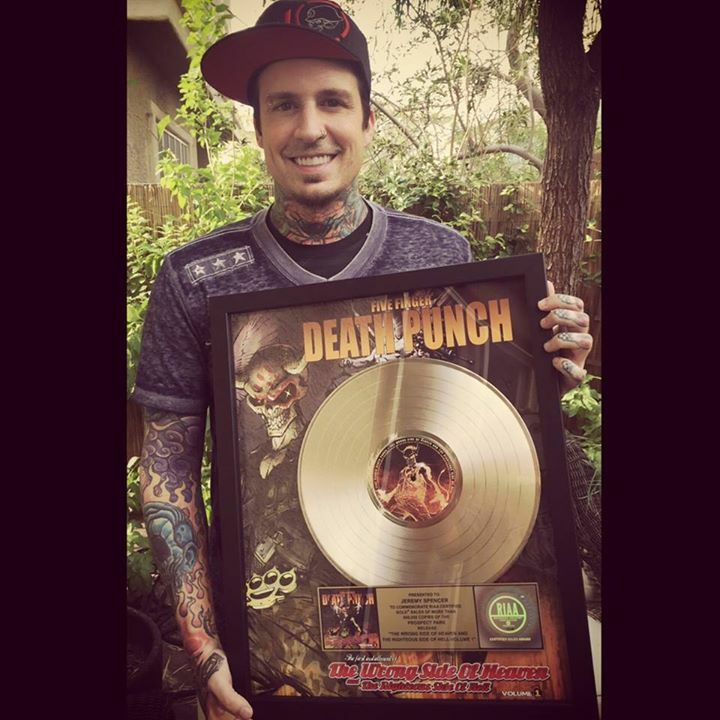 Super grateful for this gold album plaque we just received. This is our 4th Gold album. Thanks to everyone who has supported and continues to support the band and myself!